You know that Autumn is upon us and the Beer & Music Festival isn’t far away when the Blue Sunday timetable changes from two steam locomotives to one steam locomotive and a diesel railcar operating the second service. The weekend timetables are the Green timetable on Saturday and the Winter Blue timetable on Sunday. Our midweek diesel railcar service which will operate to the Yellow timetable every Wednesday until 17th October. 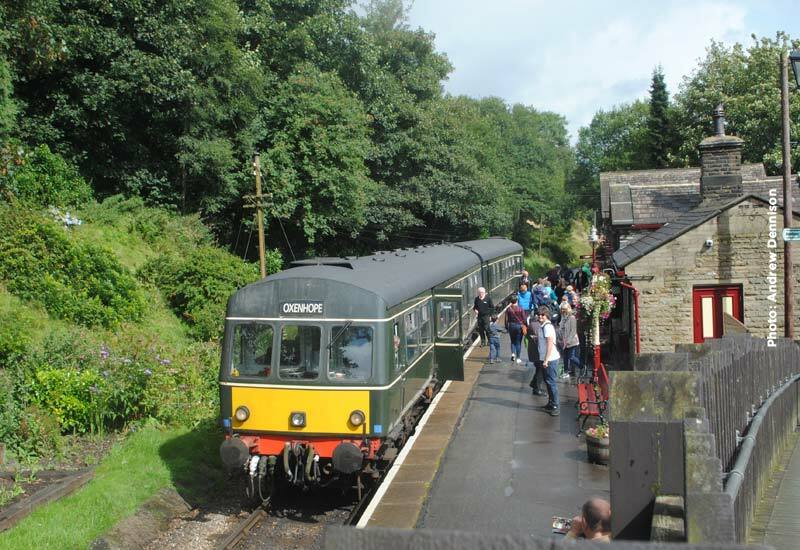 The Class 101 diesel multiple unit will start the ball rolling at 09.00 on Saturday and the weekend’s steam service starts from Oxenhope at 11.00 with a 4 coach train hauled by Ivatt 2-6-2T 41241. Also making an appearance on Saturday will be USATC S160 2-8-0 5820 which will haul the last of the year’s Haworth Haddocks, this train requiring more pulling power than the Ivatt can provide. The Class 101 diesel multiple unit will continue on Sunday and will also operate the 6 round trips on Wednesday. Work continues at the north end of Haworth platform to raise it up to the same height as the rest, therefore approximately 180ft of platform will once again out of bounds to visitors and permit holders wishing to access the trackside, from Haworth Station. This restriction will continue until all reconstruction work has been completed.